Cancun Groups, Charters, Wedding, Conference, Event & Groups Disscuount. CancunAirport-Transportation.Com is the one-stop shop for group and convention transportation needs! 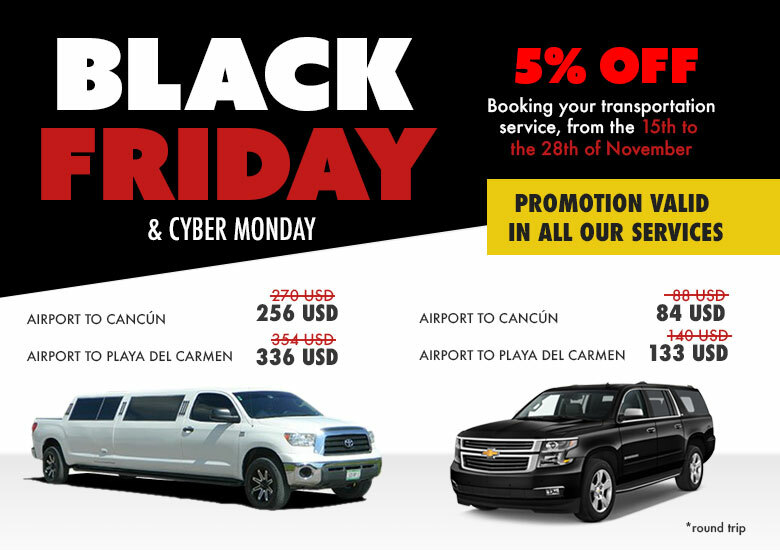 As Cancun International Airport official share-ride service, we provide dependable airport transfers for more than 600,000 guests each year. Our Fleet and limo division offers top-notch car service to the airport or anywhere, and our charter coaches are the perfect size for group transfers, corporate events and excursions for the clients ! . No matter what your event or occasion are, Graduation, Birthday, Wedding Ceremony, Reception and any others,CancunAirport-Transportation.Com provide a uniquely glamorous experience transportation service. We can go deep discount for your group! Your attendees, exhibitors and/or guests can enjoy low airport ride fare specials. Just contact us and tell us what we can do to make your event more memorable!